Hearing amplification is a way for many people to significantly improve their lives. When people have certain types of hearing loss, getting a hearing aid is a valid option for helping them to stay socially involved. 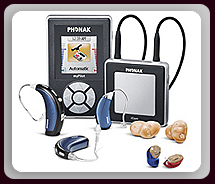 Our practice is different from an audiology practice designed to sell hearing aids. While we do offer the widest possible variety of hearing aids and other amplification devices, our medical professionals will never use the high pressure sales pitches utilized by standard hearing aid sales offices. If hearing amplification is not appropriate for you, we will tell you and refer you to one of our physicians for further evaluation. In fact, some hearing loss can be the result of an underlying disease including cancer. This can be detected by the professional audiologic testing offered by our practice.